I specialize in interior/exterior photography. A majority of my clients are real estate agents selling either existing properties or new construction. I enjoy assisting agents and clients in getting the best shots to showcase their homes to potential buyers. I also like working with other interior designers to help them market their work for their personal portfolios. As a designer my focus at the moment is on cabinet design. Kitchens, baths, and home cabinetry provided through Custom Wood Products out of St Marys Kansas. Cabinetry is custom built to order by quality craftsman with the best materials. Your satisfaction is our top priority. Let Fine Design Studio help you design a new space or finish the details of one you have already started. No job is too big or too small. Our experts look forward to working with you! You will be amazed at how quickly and easily we can improve the look and function of your space. It is more affordable than you think. Don't stress about the details. We are here to help you with every detail from the paint color to the prices. We are connected to many vendors and pass the savings on to you! We are able to create a beautiful space on any budget. *Full service Paint and Decorating Store in Topeka Kansas* Your destination for all home and commercial paint and design needs. As an independently owned store serving Topeka, at Allied Paints you’ll experience a level of service you thought no longer existed while supporting your local community. We’re proud to deliver the kind of specialized attention and help that you simply won’t find in larger chain stores. Our store professionals are comprised of trained specialists whose knowledgeable experience and helpful advice will ensure the success of every project you have. A little over 10 years ago in Portland, OR, I went on a quest to find quality, value-oriented goods to furnish my home, but I couldn’t find exactly what I wanted in the market place. So I fulfilled a lifelong dream and opened Home at Last. Using the guiding principle that we all deserve to live the lifestyle we desire, I set out to find well-built furniture and accessories that could transform houses into homes whether the budget was $20 or $20,000. The entire time I was in Portland, my internal compass constantly pulled at me to return to the Midwest, to celebrate life with my family, to live at a slower pace. The stars aligned and I’m proud to say that I’m home at last. Now that I’ve returned to Topeka, I’m lucky enough to be realizing another dream of sharing the Home at Last lifestyle with my hometown. Rooted in tradition, the product offerings at Home at Last turn it up a notch, allowing you to create an environment that is current, yet classic, and stylish, yet practical. I hope you’ll stop in the shop very soon to experience Home at Last firsthand. Full service designer with Feng Shui certification in interior alignment. Serving the Topeka, Kansas area for the past twenty five years. Certified Interior Designer. Professional Organizer. Room Stager. Any budget, any space. Make it more functional and aesthetically pleasing. Whimsical Fancy designs children's spaces. We create rooms with character rather that be fun, whimsical, interactive rooms or fancy and sophisticated. Complete interior design shop - specializing in flooring, window coverings. A good home design professional will hone your style down to its very essence and be able to choose a functional layout that feels natural to you. Interior design companies can be involved as much or as little as the client desires. Many clients who hire an interior decorator in Louisville, KS — particularly those who are remodeling — have a good sense of how the room should look and what products they should use. Often clients will insist that interior decorators use the products already present in the house. Other times a designer will need to start from scratch — especially if this is a newly purchased or just-built home. An interior design company will need to figure out exactly what the client needs, which includes organizing rooms, picking flooring and wall colors, and finding furniture to complement it all. Sometimes that means he or she will have to recruit help from other Louisville, KS home professionals to help create the perfect look for your renovation. Here are some related professionals and vendors to complement the work of interior designers & decorators: Architects & Building Designers, General Contractors, Home Builders, Design-Build Firms, Photographers. Do your research before meeting with an interior designer or home decorator in Louisville, KS. Ask yourself what you want your space to become and what it will be used for. Figure out the extent of what you need help with, what your must-haves are and what your budget is. Interior design services can add up fast, so be up front with a potential design firm or individual from the beginning. Also, pick an interior decorator that fits your style. 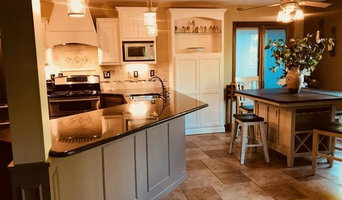 Browse through the portfolios of different Louisville interior design firms and decide if you would live in those houses. Just because you like something doesn’t mean you could live in it. There's a big difference! 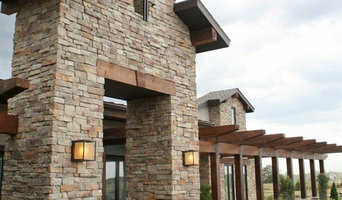 Find an interior designer or home decorator in Louisville, KS on Houzz. Narrow your search in the Professionals section to find Louisville interior designers near you. 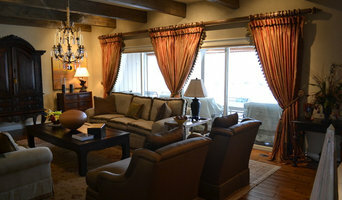 You can also look through Louisville, KS photos to find a room you like, then contact the design firm who designed it.